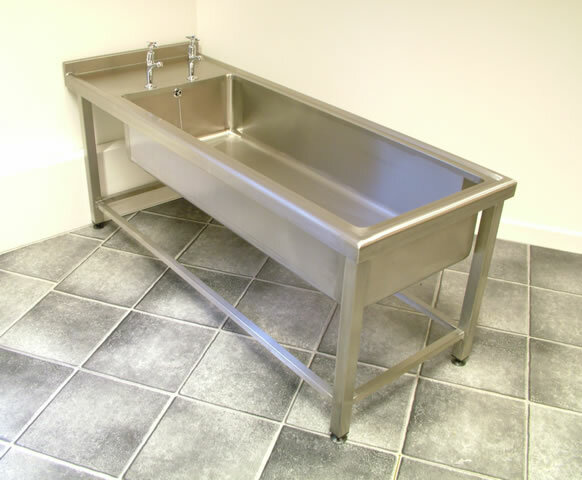 A Purpose designed Play Sink manufactured from 1.5mm thick 304 grade stainless steel, incorporating a rolled top edge to 3 sides for safety and a low frame for easy access. 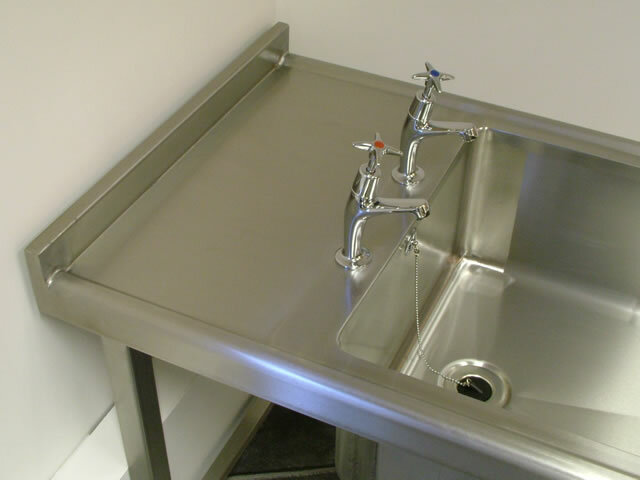 The standard Play Sink is 1600mm x 600mm overall with a bowl 1200mm x 480mm x 250mm, and is supplied with 2 tap holes at 180mm centres, 38mm (1½" BSP) waste/overflow fitting and adjustable feet. 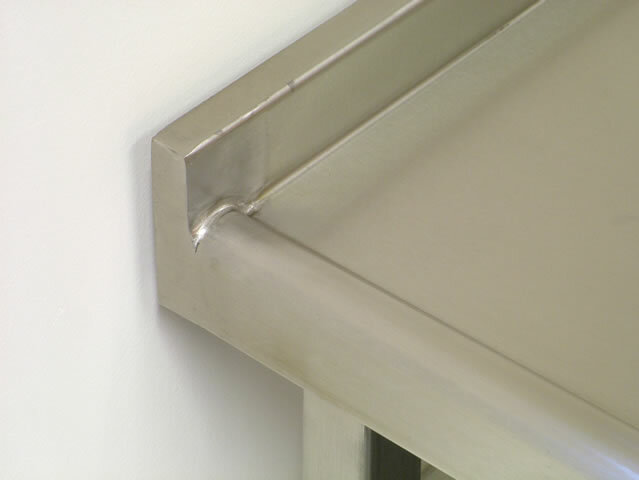 Made to measure units can be manufactured to any size required.